The Memorial Day weekend isn’t just the “official” start of summer in southern California. It’s also the official start of a season in which law enforcement officers take to the streets in increased numbers in order to target drivers who appear to be violating California’s driving under the influence (DUI) laws. This year, California law enforcement officers arrested 1,449 drivers on suspicion of drunk driving over the Memorial Day weekend. DUI cases are “fact-specific.” Prosecutors who seek to prove a DUI case must establish some very specific facts about your situation. The police stop must have been lawful. 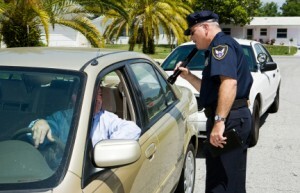 Results of field sobriety tests, as well as chemical blood and breath tests, must have come from testing that was performed correctly and on proper equipment. Your attorney can comb this evidence carefully and make sure that the court is fully aware of the weak spots in the prosecution’s case. Your lawyer can work with your Government counsel. While you are entitled to an attorney in a military context, your government lawyer will often be very busy and may lack specific experience with DUI defense. By hiring a civilian military DUI defense lawyer, you ensure that both experience and teamwork are on your side. The consequences are steep. Civilians who face DUI charges may face jail time, probation, community service, or the loss of their driving privileges. Servicemembers who face a DUI might face all of these penalties plus demotion, reduction in pay, a dishonorable discharge, or other career-damaging consequences. Attorney Joseph H. Low IV fights aggressively on behalf of civilians and servicemembers who are facing criminal charges, including DUI charges. Don’t let an arrest on suspicion of DUI destroy the career you’ve worked so hard to build. Contact our office today for a confidential case evaluation.